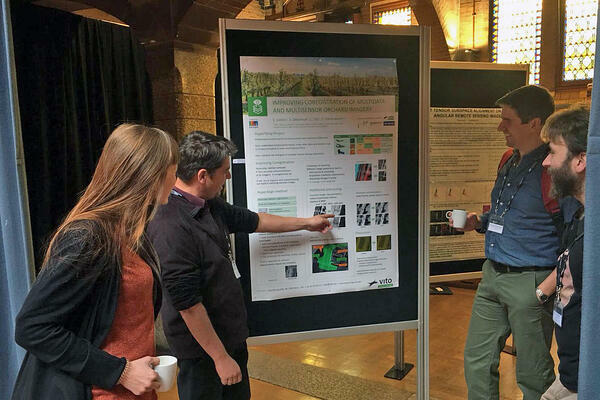 The WHISPERS conferences promote hyperspectral image processing to solve remote sensing challenges. This aligns very well with the "full value chain” approach we use to push forward hyperspectral remote sensing: we believe we can build prime solutions by combining in-depth knowledge of instruments with excellence in data processing and strong expertise in the application domain. To strengthen this synergy, we co-organized a special session on “Hyperspectral Imaging from Small Platforms” at the conference. Let me give you some highlights. A couple of weeks ago we traveled to Amsterdam, the beautiful Dutch capital, to join the 9th edition of WHISPERS, Workshop on Hyperspectral Image and Signal Processing: Evolution in Remote Sensing. For this year’s edition, we had an additional goal: to bring people who are developing hyperspectral systems for small platforms together. To this effect, I teamed up with Helge Aasen (ETH Zurich, Switzerland) to organize a special session. 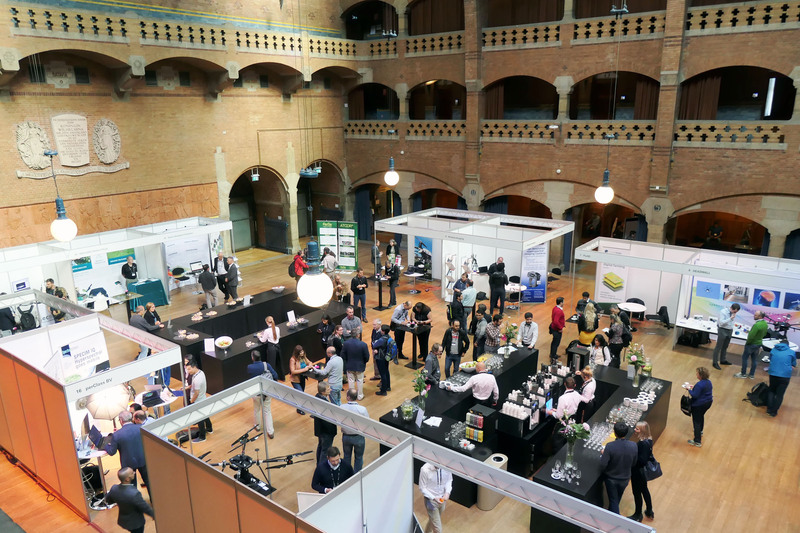 With 11 talks and platforms ranging from small UAVs to satellites, it became an interesting afternoon from which I briefly list some highlights. Thin-film interference filters combined with camera sensors are real game changers that make miniature hyperspectral cameras possible. Nick Spooren (imec, Belgium) clearly explained the underlying direct deposition technology, using the CHIEM instrument as example. The large data amounts created by such instruments can be daunting, but Arnoud Jochemsen (S&T, The Netherlands), presented a practical solution for processing them onboard a Cubesat. Whoever assumed bulky optics inevitably limits instrument miniaturization found inspiring news when Vincent Moreau from (AMOS, Belgium) showed us what can be done by using revolutionary free-form optics. Daniel Schläpfer (ReSe, Switzerland), an expert on atmospheric and radiometric corrections, gave a very insightful talk on the potential and need of such corrections for low altitude UAV acquisitions. Helge Aasen wrapped up the session with an overview of his recent review paper “Quantitative Remote Sensing at Ultra-High Resolution with UAV Spectroscopy: A Review of Sensor Technology, Measurement Procedures, and Data Correction Workflows”. That such guidance is really needed to make sense of different camera systems in the 'hyperspectral jungle' is something I have also experienced. When presenting a poster on this, my schematic drawings on imaging concepts led to some enjoyable discussions on how key metrics reveal performance differences. I love the moments when speakers step away from predicable success stories and reports of incremental progress. Jens Kern (Karlsruhe Institute of Technology, Germany) showed unexpected patterns in his biophysical maps, which he could trace back to a shortcoming in camera calibration. No doubt manufacturers at the nearby Spectroexpo got some requests to improve the traceability of their instruments. Sometimes small side remarks reveal how much struggle is needed to arrive at good results. It was very entertaining to hear how field work can be hampered by creatures ranging from insects over seagulls to buffaloes. One researcher even warned us that even bad power cords can ruin measurements, or in short, that research is still performed by people. Deep learning! hype or hot topic? Discussions make a conference worthwhile because they create sparks in your own mind, paving the path for new solutions. 'Did you think of that? ', is no longer a dreaded question, but the sign you will learn something. When presenting results on co-registration of multi-date and multi-sensor imagery, I found it very reassuring that others had faced the same challenges. Peering into the future is of course more fun. Richard Bamler, Director of Remote Sensing Technology Institute at DLR, reported on the DESIS mission (launched in June) and showed the very first raw image strips, wetting the appetite for results after processing and quality assurance. He also brought up pertinent questions like: What happens when massive spaceborne hyperspectral data becomes available, will current algorithms still be relevant?, What will be the killer apps for this new data ? Is Sentinel 2 a gamechanger or a threat for HSI ? Food for thought and many more discussions, maybe at the next WHISPERS conference.